Urban Design, Civic and Streetscape Projects. Banks Street , Pyrmont. Bays Precinct. Community Water Sports Centre. Landscape Masterplan. 2015. Baulkham Hills Shire Council Chambers , Baulkham Hills. Retrofit existing building to new entry to Council on Podium. 2015. St. Leonards Plaza , Cnr. Atchison Street & Christie Street; St. Leonards 2013. 10-20 McEvoy Street , Waterloo. City of Sydney Public Domain. 2016. Client: Hunter Young. Portman Street , Zetland. City of Sydney Streetscape. 2013. Client: City West Housing. Wulaba Park , Odea Avenue, Zetland. City of Sydney Streetscape/ Public realm Design. 2012. Client: Meriton Apartments. Joynton Avenue , Zetland. City of Sydney Streetscape/ Public realm Design. 2012. Client: Lateral Corporation. Narellan Community Centre . Design and documentation 2012. Client: Camden Council. Hornsey Street Plaza & Burwood Square . Public Realm Design. 2012- 2013. Client: Anson Group. Penrith Valley Cultural Precinct . Public Realm Design and Civic centre upgrade to provide public plaza for the citys major cultural center. $1.2M budget. 2006-2009. Client: Penrith City Council. Rhodes Peninsula . Streetscape Design. 2005-2013. Client: Meriton Apartments & Billbergia..
Atchison Street , Crows Nest. Streetscape Upgrade. Client: North Sydney Council. Liverpool CBD Ring Road . Streetscape upgrades. Client: Liverpool City Council. Hume Highway . $600,000 Streetscape upgrade. Client: Liverpool City Council. Glenmore Park Estate . Streetscape design. Client: Lensworth Pty. Ltd.
Elizabeth Hills Estate . Streetscape design. Client: Mirvac Pty. Ltd.
Edmondson Park Estate . Streetscape design. Client: Urban Growth. Sydney University Precincts including preparation of the University External Design Guidelines Manual and urban design studies for precincts Parramatta Road Frontage, University Avenue, Maze Crescent, Institute Building, Wilkinson Building, Madsen Building, Watt Building, Vet Science Building, Old teachers College, Chemical Engineering, Seymour Centre, Blackburn Building, Fisher Library. Seven Hills Shopping Centre . Urban design study and streetscape Masterplan including community consultation and cultural mapping to inform the development of integrated public art and design themes. 2002. Client: Blacktown City Council. Homebush Olympic Site . Upgrades to external areas. Emerton Shopping Centre . $500,000 Streetscape upgrade and urban design Masterplan, involving the development of community cultural mapping and development of public art draft designs. 2001. Client: Blacktown City Council. Sturt Noble Associates are well placed to provide Landscape Architectural services having been involved in a large number of aged care, Seniors Living and aged care housing projects for private developers including BUPA, Pathways Property Group, Lend Lease: Retirement by Design and the Baldwin Care Group. ARV Milperra Village , Bullecourt Avenue, Milperra, NSW. Seniors and RACF facility. 2016-2017. Client: Anglican Community Services. Belrose Manor , 181 Forest Way, NSW. Seniors and RACF facility. 2017.Client: Huntingdon Nursing Homes/ Trinity Management Services. 238-240 Mona Vale Road , St. Ives, NSW. Residential Aged Care facility. 2013-2016. Client: BUPA Pty. Ltd. Sailors Bay Road , Northbridge, NSW. Residential Aged Care facility. 2010. Client: Pathways Property Group Pty. Ltd.
Wyralla Road , Yowie Bay, NSW. Residential Aged Care facility. 2008. Client: Pathways Property Group Pty. Ltd.
Sturt Road , Cronulla, NSW. Residential Aged Care facility. 2008. Client: Pathways Property Group Pty. Ltd.
Palm Grove Nursing Home , Narraweena, NSW. 111 bed aged care development. 2008. Client: Riviera Group Pty. Ltd. Seniors Living Development , Kearneys Drive, Orange. 80 units. 2007. Client: Landworks property Fund Pty. Ltd.
Sydney University , Camperdown and Camden campuses. · Urban design study and landscape documentation for the Parramatta Road Frontage. · Upgrades to a number of precincts including University Avenue, Maze Crescent, Institute Building, Wilkinson Building, Madsen Building, Watt Building, Vet Science Building, Old teachers College, Chemical Engineering, Seymour Centre, Blackburn Building, Fisher Library. University of New South Wales , Kensington campus. 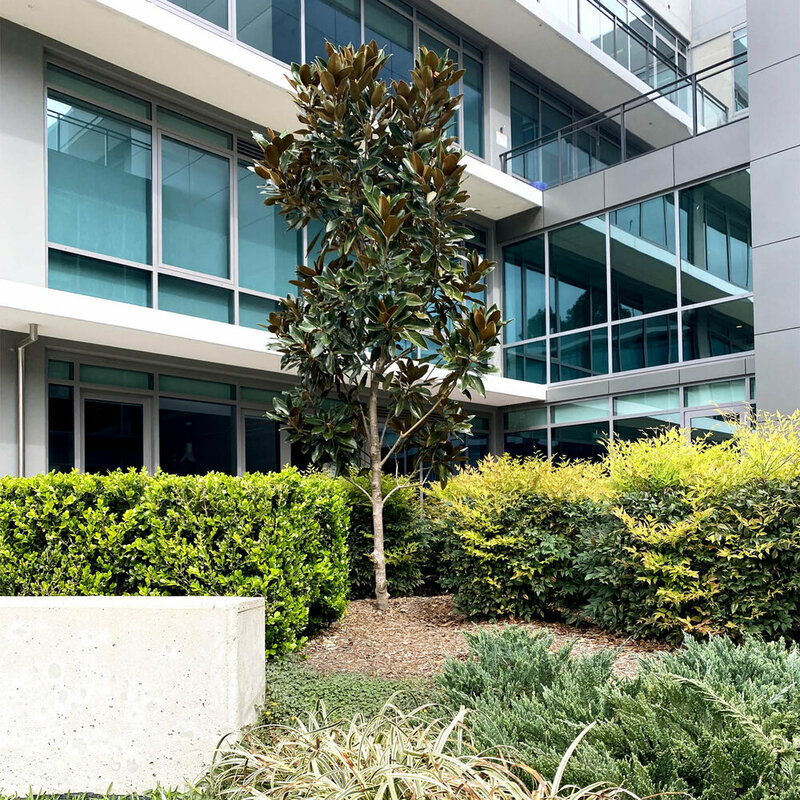 · Buildings M3, H7 & H8 Landscape Precinct; Nursing Precinct. School Renewal Program . 2015-2016. Client: Department of Education. North Newtown Public School . Landscape Master Plan. 2013. Neutral Bay Public School . Scope included design of outdoor classroom, bush tucker garden and chess area. 2004. St Brendan's Primary School , Annandale. Design of school garden. Scope included co-ordination of P&C on planting days and fabrication of custom made pavers by all classes and design of bush tucker garden. 2004-2005. Hilder Booler Childcare , Glebe. Design of play area & garden. 2002.